Too many organizations are working in isolation. Thousands of our young people are disconnected from education and employment. Even more are at risk. This issue is too big for one single organization or agency to do alone. Collective impact brings people together for real change. 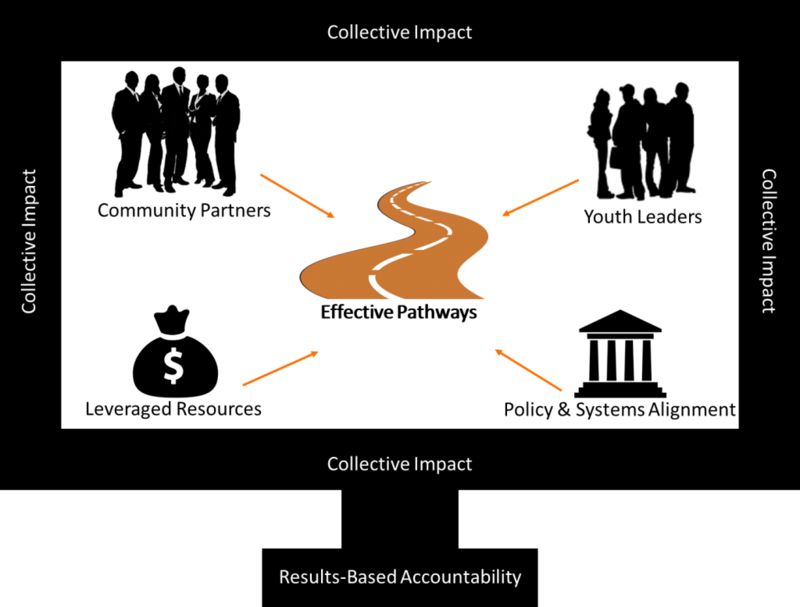 We use a collective impact approach to bring together systems and stakeholders to improve outcomes for Opportunity Youth. We are evolving from good information sharing and networking to being a change agent for Opportunity Youth. 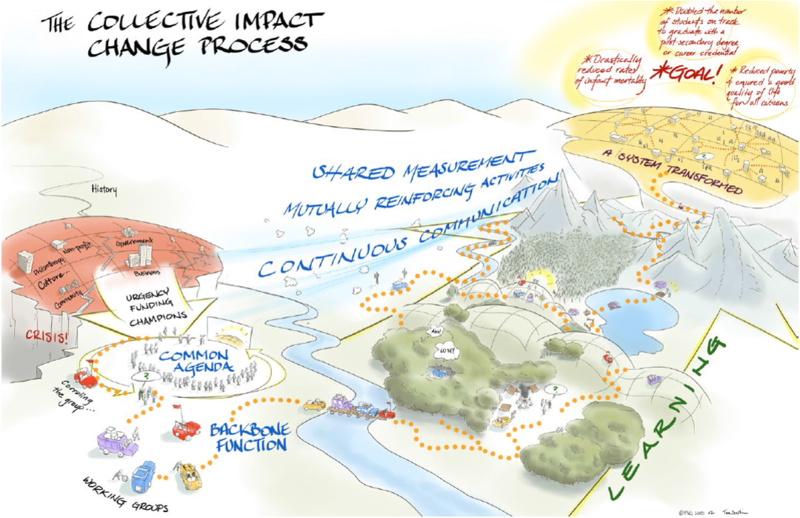 Together, we use programs to demonstrate best and promising practices and are developing a road map to scaling and sustaining these practices up and across systems. Common goals can lead to uncommon results. Our Results-Based Accountability (RBA) framework supports our collective impact approach by helping each community partner identify how best to contribute to the quality of life outcomes of Opportunity Youth and monitoring the collective progress of our youth.